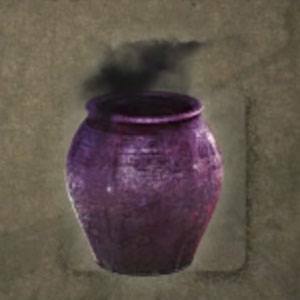 Yokai Water Pot is a Usable Item in Nioh. "A magic pot containing water from the underworld that opens a portal to the Yokai Realm when thrown. The pot itself is made of clay harvested from the underworld, as no normal material can hold such special water." Releases a patch ofYokai Realm on impact. It drains the ki of human opponents and prevents them from recovering any of it as long as they stay in said patch. Don&apos;t underestimate this item. It makes human enemies a joke. It also makes fighting Emma a breeze.